This grandpa (and grandma) did the work! Myron Hyman, along with his wife Laura, while capturing the attention of television news anchors and the editors of People Magazine, has caught the interest of thousands of men and women wanting to release excess weight and inches. 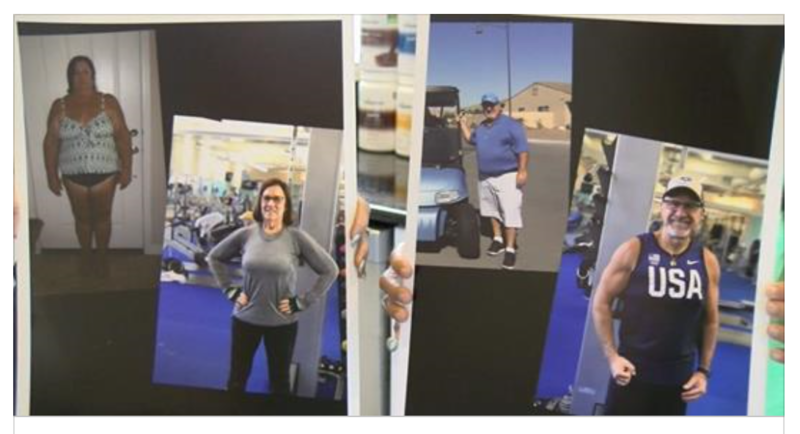 The Indio, California couple is getting a lot of well-deserved credit for the work they each did to transform their bodies and their lives – loosing well over 100 pounds each! At first glance, you’d think the couple were active fitness enthusiasts for many years. Not so says Laura. She talked about struggling just to get on and off the couch at 267 pounds and the difficulties all that excess weight has caused her. After Laura’s mother passed, the couple decided to change their lives. But how would they go about it? They chose to give the Isagenix nutrition and cellular cleansing program a try and purchased two of the popular 30-day weight loss systems. “I felt so good within the first week, Laura recalled, that we just kept on going.” Month after month, until Myron and Laura had each lost 100 pounds or more. The couple says they now go to the gym 3 to 4 times a week and say that the nutrition and exercise have changed their lives for good. During a typical day, they’ll enjoy a two delicious protein shakes, a snack, and a low glycemic, 400 to 600 calorie knife and fork meal. As grandparents, they say anyone can make the same transition. Age doesn’t matter. When you quit living to eat and begin eating to live, anything is possible. No matter your age, just commit, be consistent, and believe. Your grandchildren will thank you for it. Hey grandpa! How are your telomeres doing? If you’d like to find out more about the Isagenix Nutrition and Cellular Cleansing system, just click here for more, no-obligation, information.